Since I’ve been attending these meeting for about five years I looked at the problems I saw and I wrote a resolution that I hope one of you will take up and present to the Board for a vote. 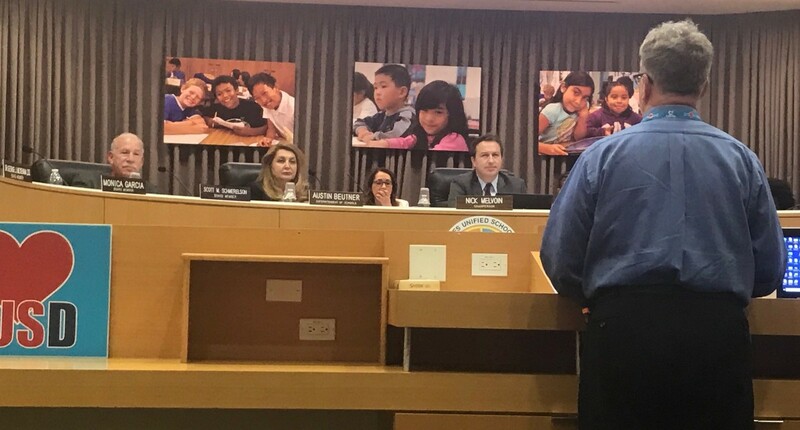 Unfortunately, three of the Board members, including Board President Monica Garcia, and Superintendent Austin Beutner, left before the presentation. 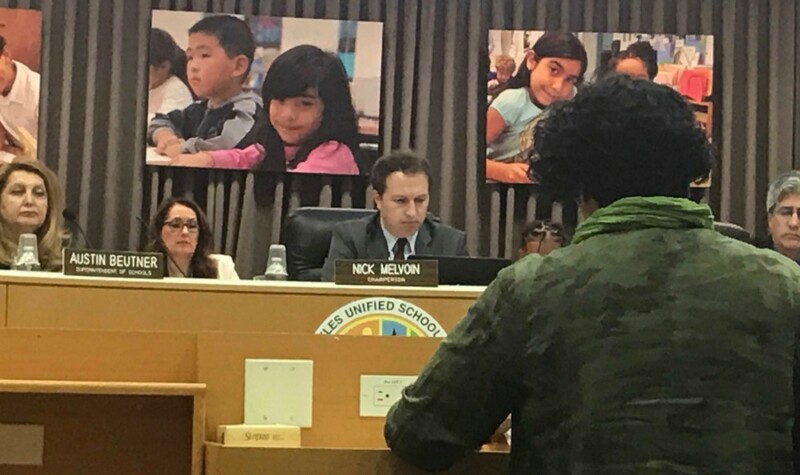 As noted by Board Member Kelly Gonez, while “it is essential to have this conversation”, without all members present, “all perspectives” are not represented. (1) As an example, she noted that the distance to Downtown and transportation issues provided obstacles to her constituents who wanted to participate in Board meetings. Gonez also brought up the fact that child care is an issue that needs to be addressed in order to have parents of younger children participate.